Oil, art, kidnapping — the Getty family has seen it all, which makes them the perfect subject for splashy Hollywood biographies. 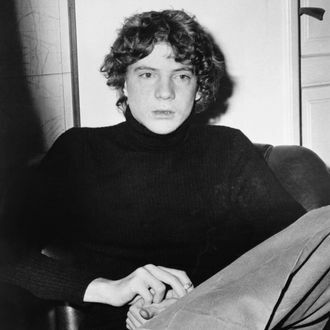 Today, the news broke that Ridley Scott is planning to make a movie about the 1973 kidnapping of J. Paul Getty III, the then-teenage grandson of oil baron J. Paul Getty. Per Variety, Natalie Portman (go-to tragic mid-century rich woman) is in talks to play Gail Harris, J. Paul Getty III’s mother, who helped convince his grandfather to pay the several million dollar ransom, but only after the younger Getty was held captive for five months in Italy. The kidnappers also cut off Getty’s ear in order to coerce the family into sending money — it’s a truly chilling story. Of course, a story that salacious is going to inspire multiple projects, and lo and behold, Danny Boyle is already working on a TV approach to the Getty history. Last year, FX ordered ten episodes of Boyle’s limited series Trust, which will also focus on the Getty kidnapping in its first season. Since that announcement, details about Trust have been few and far between, but in a recent interview with Collider, Boyle said he intends the series to be a “five-decade family thing,” with five seasons, each set in a different decade — as with the royals in The Crown, there’s plenty of dramatic Getty history to go around. Boyle plans to start shooting the first season of Trust this summer, which sets the stage for a potential Scott-Boyle case of Getty Tobies. If FX is wise, it could just turn that into a new season of Feud.